HALIFAX -- A controversial plan to let a Nova Scotia cement plant burn massive numbers of tires as fuel was given a regulatory green light by the province on Wednesday. 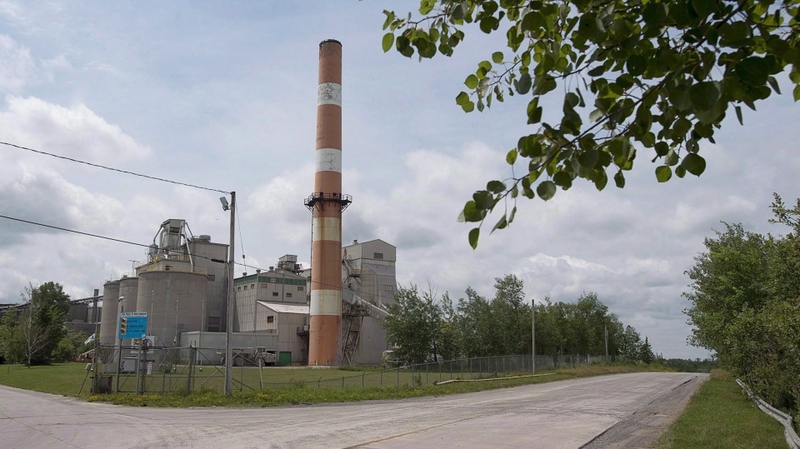 The Environment Department issued industrial approval to the Lafarge plant in Brookfield, N.S., allowing it to conduct a one-year pilot project to incinerate tires. Environment Minister Margaret Miller said the company must monitor air quality at regular intervals when the kiln is operating and monitor groundwater and surface water in the area. Miller defended the decision, saying it is in keeping with helping the province meet its environmental goals on reducing greenhouse gas emissions. "We are dedicated to reducing our GHG levels," she said. "We are looking for new technology that will give us that result, and this may be one of them." Lafarge originally asked for a three-year project, but the department, which normally issues industrial approvals for 10 years, limited the project to a single year. It said that's to ensure terms and conditions are being met and can be modified to ensure the environment and human health are protected. A similar request by the company in 2007 was denied by the province after an advisory committee recommended recycling scrap tires rather than incinerating them. The Liberals were among those opposed to tire burning at the time, and Miller was asked what has changed since. "The science," she said. "This isn't burning of tires -- it's incineration." The minister checked herself when reporters pointed out she was using synonyms. "They are, but I'm thinking about the level of the heat that we know is quite a bit different." Lafarge plans to burn about 20 tonnes of tires a day -- as much as 5,200 tonnes a year -- in place of fossil fuels such as coal and petcoke used to manufacture Portland cement, a basic ingredient of concrete. Under the plan, the province's waste diversion agency is expected to shift a supply of about 280,000 tires annually to Lafarge. Nova Scotians pay a $4.50 environmental handling fee for each new tire they buy, used to shred and reuse tires as construction materials. However, a portion will now go Lafarge -- a move critics say amounts to subsidizing a large multi-national company. Premier Stephen McNeil said that's not the case, as far as his government is concerned. "I don't see it as a subsidy. We see this as a process that reduces our environmental footprint from burning coal -- it's recycling in a different way." But the Halifax-based Ecology Action Centre panned the province's approval Wednesday. "Burning tires, rather than recycling them, will not reduce overall greenhouse gas emissions in Nova Scotia, will undermine recycling, and will pose an additional health hazard to local residents," it said in a news release. "In addition, taking tires away from the recycling industry and giving them to Lafarge to burn will result in a net loss of jobs and economic activity." In an emailed response, Lafarge Canada spokeswoman Karine Cousineau said the company was pleased with the decision and was looking forward to working with Dalhousie University researchers and the community to "assess the use of scrap tires as a circular economy solution." "Based on the work conducted so far by the research team, we expect to see a 15 per cent reduction in emissions of NOx (nitrogen oxides) and a 30 per cent CO2 (carbon dioxide) reduction for every tonne of coal replaced. Our pilot will allow us to show the benefits found through the Dalhousie University research in a real world, Nova Scotian context." The company said project construction is planned for the fall and winter with a startup scheduled for early spring. The province's industrial approval Wednesday follows a court decision last March that dismissed a residents' group's bid for a judicial review of separate environmental approval. Justice James Chipman of the provincial Supreme Court said the environment minister's approval of the tire-burning project was reasonable. He said the approval process involved the consideration and evaluation of risks, and that the minister was satisfied that any adverse effects or significant environmental affects could be adequately mitigated. The court challenge was launched by five residents who live near the Colchester County cement plant. It claimed the Nova Scotia government's approval of the project violated the province's Environment Act. A complainant in the case, Fred Blois of Old Barns, N.S., said the province's decision was expected. "It was not a great surprise but it was a disappointment," he said. Blois said his group would take time to consider its next steps including the "remote possibility" of further legal action. He also dismissed Miller's assurances that the project would prove environmentally friendly, saying her department's approval process has become nothing more than a "licence to commit harm." "The public haven't got a good handle on what's in this material," Blois said.